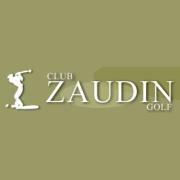 Club Zaudin Golf, S.A. is a semi-private golf course located in Tomares, Spain. The course originally opened in 1992 and was designed by Gary Player. The course consists of four Par 3's, 11 Par 4's and three Par 5's and plays to a maximum distance of 7600 meters with a course rating of 72.6 and a slope of 128 over 18 holes. Two sets of men's tees and a single set of ladies' tees create an enjoyable test of golf for players of all abilities. Rental services are available including motorized carts, pull carts and golf clubs.